Corporate Wellness activities can help with employee retention, motivation, productivity, and overall attitude. Office spa services may be provided during lunch, throughout the day or after work. You may choose one activity or create your own mixture for optimal results. Unwind requires only a two hour minimum allowing any size company to make employee wellness a healthy priority. 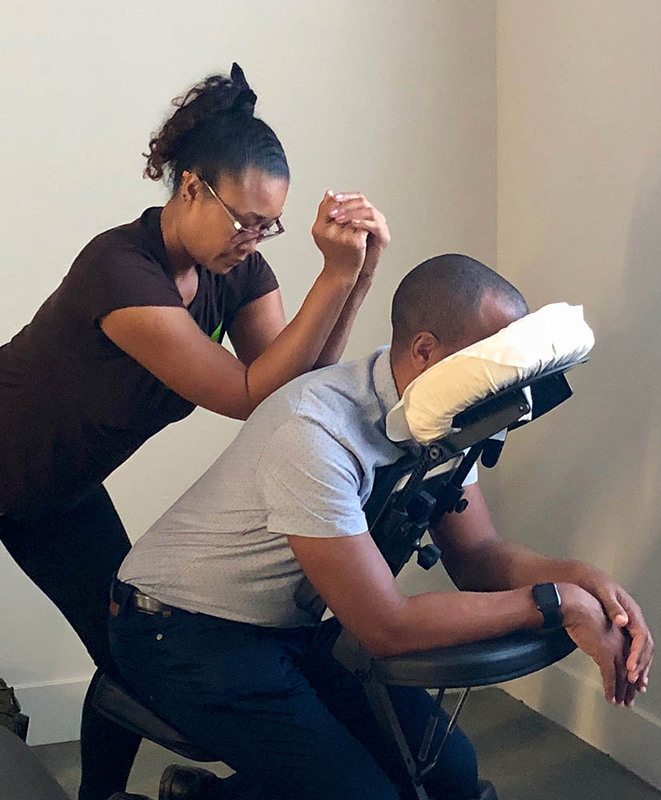 An Unwind ten to thirty minute chair massage is one way for companies of any size to increase morale and help employees manage their health. Massage therapy helps reduce muscle tension in the body, therefore, decreasing chronic pain and stress. Tightness in the muscles can contribute to headaches, sciatica, tendonitis, and low back pain. In conclusion, employees appreciate the opportunity to easily reduce their stress and pain while at the office. After typing away on computers all day it’s a real treat for people to receive TLC on their hands. 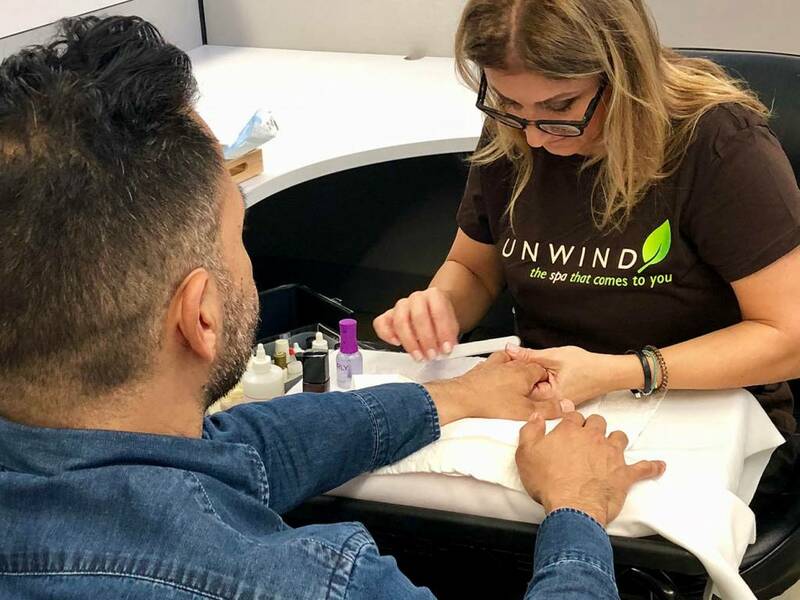 An Unwind 15 minute Mini Mani Color Change or a full 30minute Manicure is a wonderful way to bring an office together to relax and rejuvenate. A fifteen minute mini mani color change is a quick removal of an existing polish and a new application of polish. A thirty minute manicure consists of filing, trimming and polishing of the nails, a little cuticle shaping (if needed) and a soothing hand massage. 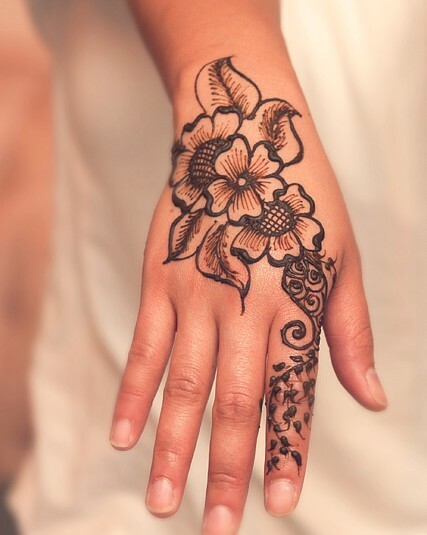 Henna art is fun to have at any office event as it allows people to connect over their new body art. The application may take around 15 minutes (for a small design) and can be one color, multi-colored or even sparkly. Offering yoga sessions in your office may be just the trick to create harmony in your work environment. Office yoga may be a 1 hour session, a 30 minute lesson or even a 15 minute class. In yoga there are a series of postures and breathing exercises practiced to achieve control of the body and mind. Yoga is especially relevant as can be a positive influence for your team as it increases concentration, reduces stress and builds self confidence. 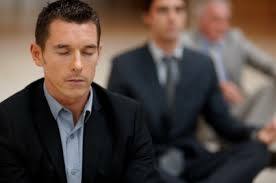 Your office mates will receive verbal instructions teaching how to relax the entire body & clear the mind. Furthermore, meditation concentrates on breathing into a deep state of relaxation & inner stillness. As a result, meditation can lead to a more joyous and productive way of life. Guided meditation may improve your office productivity with such benefits as increased memory, clear thinking, greater feeling of connectedness to others, reduced irritability and, most of noteworthy, moodiness. Many people prefer guided meditation because it REQUIRES NO PREVIOUS TRAINING OR EFFORT TO ENJOY! Our goal is to help people feel good. When it comes to relaxation, we take it one step further by bringing our services to you. We design each session to your needs whether it be a spa party in your living room, an individual in-home massage or facial, a manicure party at your office, a convention with chair massage or a corporate wellness program. Self-care is important to us so you name the date and we’ll be there. Unwind Mobile Massage & Spa services many communities throughout the Greater Los Angeles Area including (but not limited to) Bel Air, Beverly Hills, Burbank, Culver City, Burbank, Hollywood, Malibu, Marina Del Rey, Pasadena, Playa Vista, Venice, West Hollywood & Westwood so please contact us to see if your location is within our service area.